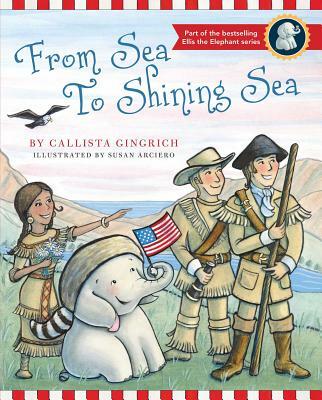 Callista Gingrich is the New York Times bestselling author of Sweet Land of Liberty and Land of the Pilgrims' Pride, a children's series featuring Ellis the Elephant. She is also president of Gingrich Productions, a multimedia company which produces historical and public policy documentaries. Recent films include Nine Days That Changed the World and A City Upon A Hill. Callista is married to former Speaker of the House, Newt Gingrich. Together they reside in McLean, Virginia. Susan Arciero is the illustrator of numerous children's books, including Sweet Land of Liberty; Land of the Pilgrims' Pride; Nat, Nat the Nantucket Cat; and Cornelius Vandermouse. Growing up in Massachusetts and traveling the world as a military family, including ten years in Washington, D.C. made researching these illustrations even more captivating and inspiring. She lives in Pinehurst, North Carolina, with her husband, three children, and two Basset Hounds.